Goodreads says, "Set in the weeks leading up to an idyllic New England wedding, this “enticing and refreshing” (Nancy Thayer, New York Times bestselling author) novel sparkles with wry wit, sweet romance, and long-kept family secrets. Iris Standish has always been the responsible sister: the one who studied hard, settled down, and always made the right choices—even when they came at the expense of her passions. Meanwhile, her sister Leah dropped out of college to “find herself” by hiking through Yellowstone and switches jobs nearly as often as she switches lovers, leaving Iris to pick up the pieces in her wake. But now Iris’s life is coming apart at the seams, and when Leah calls her back to their childhood home with a desperate cry for help, she is thrust headfirst into preparations for her sister’s wedding to a man their New Hampshire clan has never met…with her own marriage and family on the brink. Still, despite the rush of dress fittings, floral arrangements, and rehearsal dinners, Iris is learning to put herself first. And amid a backdrop of late-night swims and a soul-restoring barn renovation comes Cooper Woods, a high school crush who beckons with the promise of a new start." Iris has found herself at an important crossroad. She has been married for many years to her husband, Paul, and has three lovely kids with him. Things with Paul haven't been great for years, but she didn't see it coming when Paul announces he wants a divorce. Iris finds herself going through the motions of her life and living it in quite desperation. On a whim, she decides that a summer at her parents' farm on a beautiful lake is exactly what she needs as well as the children. Plus, she has to be up there in a few weeks to help plan her sister's wedding, even though they haven't talked in a few years. She is going to spend a few weeks without her children as they are at camp and then they will meet up with her at her childhood home. Things aren't that simple for Iris though. Once she gets to the farm, she realizes that she had no idea what kind of operation her parents as well as her sister, Leah, had going on and it has become a rather successful business. She also can tell something is going on with Leah, but no one in her family will be straight with her. To Iris, it appears that Leah has jumped into this marriage with a man that she just met and to top it off, Leah acts strangely from time to time. It doesn't help that Iris's teenage crush, Cooper Woods, is working on restoring her parents' barn, so she is constantly running into him and an unlikely friendship forms. The Lake Season by Hannah McKinnon is an entertaining debut that examines the complexities within families, but also the ups and downs of moving on with your life. The idyllic setting makes for a great summertime read. Man, I could really feel Iris's walls closing in on her at the beginning of The Lake Season. She has put herself on hold and has done everything for her children, which puts her in a complicated situation when her husband wants to leave her. She is unraveling and lost until she decides to head back home to her childhood house on a gorgeous lake for the summer. This centers Iris eventually and helping with her parents' farm is cathartic as well as helping restore the barn with the charming, Cooper Woods. Iris eventually finds herself again and finds a good balance. Essentially, spending time at the farm has reignited her passion for life; plus, a possible summertime romance with a cute guy never hurt anyone, right? Leah was irritating beyond belief in The Lake Season. She is the typical "look at me" sort of girl that is impulsive, is never held accountable and everyone walks on eggshells around her for fear that she may turn on them. I had a really, really hard time warming up to her and I hated how she treated her sister. I wouldn't have survived one second with someone as self-absorbed as Leah; however, as the story unfolds we find out why she acts the way she does. The family is holding onto many secrets regarding Leah and they Iris know until much later. The romance was charming in The Lake Season. I was rooting for Cooper and Iris from the beginning. I knew that Iris was going to be getting a divorce, so I thought it might be healthy for her to move on a bit and little does she know, it has the potential to develop into something more, that is if Leah stays out of it. Then there's Leah's wedding which is constantly looming over the family's summer and even though Iris gladly helps to plan it, there's no doubt that something is up with Leah. The idyllic setting in The Lake Season was very well done by McKinnon. I adored the details of the farm, the serene lake, the adorable town and all of the summertime activities. 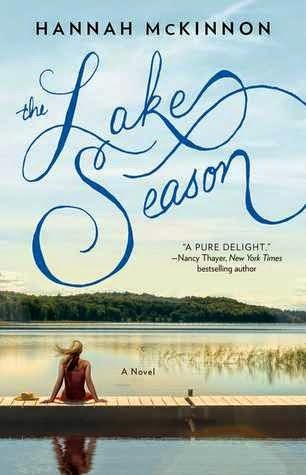 If you enjoy a novel with a gorgeous setting and a side of dark family secrets, you will enjoy The Lake Season, which I recommend to fans of Nancy Thayer and Elin Hilderbrand. This sounds fantastic except for the character of Leah. Iris is a character I'd probably root for too. I will have to check it out from the library this summer. Yeah, Leah drove me nuts. I really enjoyed Iris though. I hope you do get to read it. Thanks for visiting, Christina! Christina, I saw an advertisement for this book and thought it looked great; now I know I'm interested! What a great review and I LOVE stories like this; I'm going to have to check it out. Thanks so much! Thanks, Tara! I gravitate towards these kinds of books in the summertime! I hope you do get to check it out. Thanks for visiting. This one is in the wings, to be read after I finish "PS I Still Love You" by Jenny Han. Love your recommendations, keep them coming. Thank you so much! 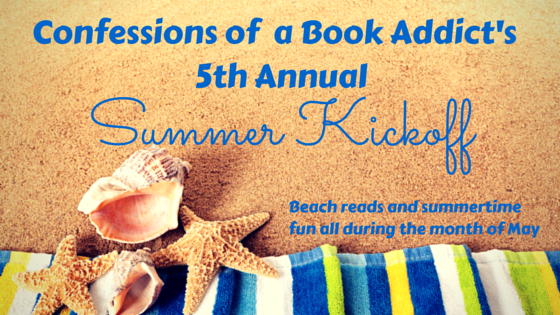 I hope you enjoy this book...it's perfect for summertime! Thanks for visiting.